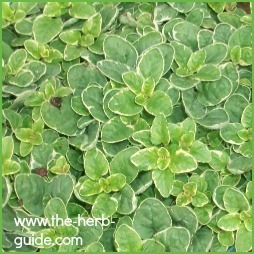 Oregano is a hardy perennial - it's often known as Wild Marjoram. It dies down in the winter, so if you want to use it during the winter, you will have to dry or freeze it or grow it indoors. It grows to about 2 feet high and can be quite untidy as it sprawls all over the place. It needs a sunny spot, but is not so dependant as Sweet Marjoram on that. It doesn't have the same intensity of flavor, but will grow in colder and wetter climates. It needs a sunny and well drained position if possible. If you sow seeds, they can take a while to germinate and people often give up, thinking that the sowing has failed. You can propogate it by taking cuttings or division in summer. 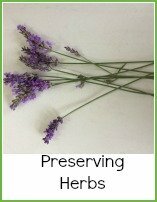 You need to keep it trimmed back to maintain a neat shape. This will normally happen naturally when you clip pieces to use in cooking or for other purposes. Medicinally, it has antiseptic properties, as well as being taken for nervous anxiety, insomnia, tension headaches, colds, digestion and bronchitis. The oil can be applied externally to treat muscular aches, pains and stiff joints - you would need to buy the oil though, extracting oils is not easy to do on a domestic level - you need a lot of equipment. 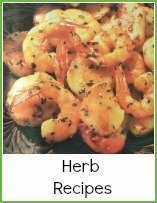 It's used widely in mediterranean cookery - exceptionally good in tomato sauces (pizzas etc) vegetable dishes and used to flavor oil and vinegar. You can also dry the flowering stems and use them in pot-pourri but the more highly scented sweet marjoram is a better choice for this. Sow three seeds directly into potting compost. 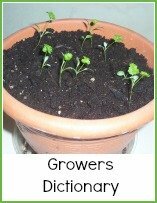 Water them, cover with polythene to maintain humidity and put in the shade - it will take up to 28 days to germinate, but you may be lucky and it will strike early. Check regularly and once you see shoots coming through, uncover the pot and move towards the light. 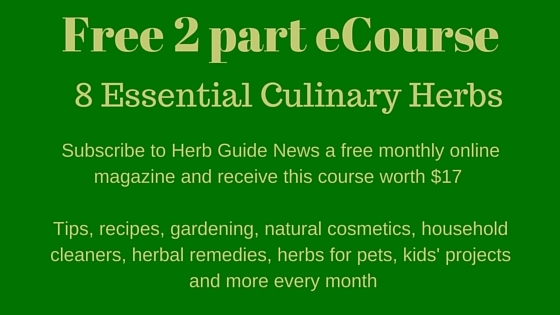 You might have to wait for three months or so to start cutting the herb - start the seeds off late summer so that they will take over from the outdoor plants when they've stopped growing. 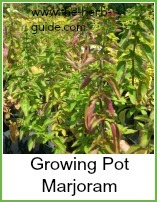 It will grow well indoors and you should get some good harvests. You don't need to thin the seedlings as if three plants grow, you'll have some lovely dense foliage. You could also trim back one of the outdoor plants and put it in a plant pot to bring it indoors for the winter. If you stop it flowering (nip out the buds as you see them) then it will continue to grow. If you're lucky enough to inherit a herb garden or you've let yours run riot, then you will need to clip it right back. Trim off the straggly bits and then give what's left a good pruning, making it neat and tidy. Keep the area weed free and well watered - give it a bit of tender loving care if you've had to move it. 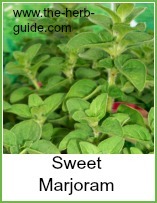 How to Grow Oregano is featured in Issue 8 of Herb Guide News.